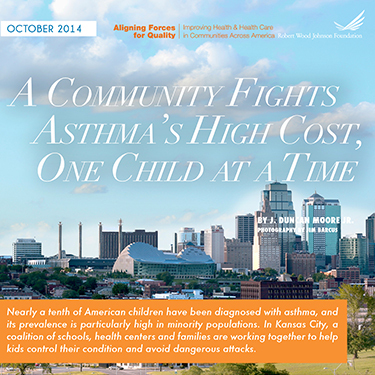 Kansas City health leaders are working together to tackle high pediatric asthma rates by building solutions to better identify and treat the condition. By working closely with children and their families, physicians, nurses and community partners have been able to reduce the severity of asthma for children in a unique pilot program. These efforts are led by the Kansas City Quality Improvement Consortium, one of RWJF’s Aligning Forces for Quality (AF4Q) communities, which has brought together providers, researchers and patients to improve the way care is delivered in the region.